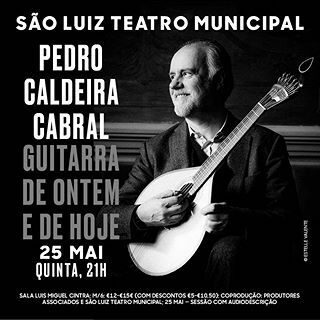 On May 25, at the Municipal Theater S.Luiz, in Lisbon will be held a concert “Yesterday and today’s guitar” by guitarist Pedro Caldeira Cabral. This concert will have audio description and stage recognition. “Pedro Caldeira Cabral, internationally recognized as a composer and multi-instrumentalist celebrates 50 years of his career, in a two-day event, with the theme of valorization and promotion of the patrimonial heritage of Portuguese Guitar.